Hannah Smith was only 14 when she hanged herself. According to her father, she did it because of being bullied on the social network Ask.fm, a site that allows users to post questions and answers anonymously online via smart phone or computer. Tragedies like Hannah’s happen far too often, now that we live in a connected world. That’s why it’s important for parents to know what’s out there, and what their adolescents and teenagers are up to online. You may already limit how much time your adolescent spends on Facebook and Instagram or monitor what they post, but chances are your adolescent is more active on several other apps that you don’t even know about. 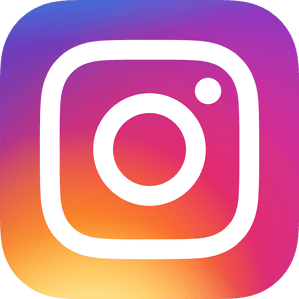 While these major social media sites that you know about are public and reveal users identity, there are several more smart social networking sites or applications (apps), such as Ask.fm, that are anonymous or lend themselves to harmful behavior that parents need to be aware of. Snapchat’s appeal is that the pictures sent through it disappear in a matter of seconds. The question you have to ask is, what kind of photos are your adolescents sending that they are worried about being saved or passed around? Why should the disappearing aspect be a selling point? The other worry about this app is that photos can easily be screenshot before vanishing in the app itself, making the selling point of this app useless and giving users a false sense of security. Tinder is a dating app with a reputation for facilitating hook-ups and one night stands. It is intended for young adults but younger and younger users are signing up. The app easily connects users in the same geographic location and allows users to view each other’s photos and instant message each other with the ultimate goal of meeting in person. Online dating is especially dangerous for teens who don’t have the dating or life experience of older users and are more likely to be taken advantage of. Whisper is an anonymous portal where users can share content and pictures. It lets users share “secrets” that they wouldn’t feel comfortable sharing on other social medias that reveal their identity. The confessions are posted with a graphic of the users’ choice, either one provided in the app or one from their own photo library. The confessions are often sexual or dark in nature, and range from topics about self-harm and assault to invitations for dates or sexual pictures. This app records location, so it can be another way for users to meet others anonymously online and encourages the exchange of confidential or private material. YikYak is more or less the anonymous Twitter. It’s a social wall where users can post anything they want. While it may seem safer than some apps since it doesn’t collect personal information, there is no content moderation. It is mostly targeted to college students who can spread the word about events and parties, but younger users are using it to learn about these older student’s events or post hurtful comments and rumors about peers. Since it’s anonymous, the bully-er can’t be traced, and neither can the validity of the claim. Kik is another app with the potential to be dangerous. It is an instant messaging app that allows users to connect with others with nothing but a username. There is no age verification on the app and it is easy to connect and talk with strangers. Any app or site that veils identity lends itself to giving users a false sense of security and they are more likely to engage in dangerous or illicit activity with other users. This app is one of the number one apps that promote bullying. 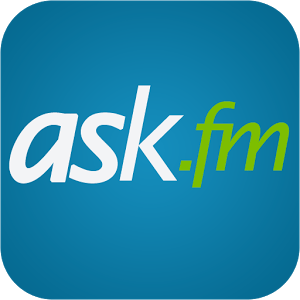 It is almost exclusively used by kids and allows them to ask questions to other users in their area or school, anonymously. Since it anonymously connects all users in an area, the questions have been used to single out kids for bullying. The remarks are often derogatory and untraceable to the source, just like with YikYak. Your adolescent may be using these apps innocently enough, like Hanna Smith, who only used the app to get anonymous advice about the skin condition eczema, but others are not. Whatever you allow, make sure to talk to your teen about the dangers of these apps and be aware of the potential behind them.